B & B Instruments is pleased to provide cutting-edge technology for your instrumentation needs. Please call or email us for promotional pricing on our featured products. The 3DLevelScanner™, represents a new family of devices that takes the guesswork out of measuring the level, volume and mass of materials stored inside a silo or open bin with 3D mapping of the contents. The 3DLevelScanner is the only device presently available that delivers accurate measurement of bulk solids and powders regardless of the type of material or product characteristics, type and size of storage silo, bin or container, and harshness of the storage environment. It incorporates APM�s unique dust-penetrating technology to achieve an unrivaled degree of process measurement and inventory control. Autrol Smart Transmitter series for Differential, Gauge, Temperature, Level products have been performed all kinds of plants such as Thermal, Paper, Water treatment, Food & Beverage, Energy, Alternative Fuel, Gas, Oil, Nuclear and other industries that need to measure pressure with high accuracy and run sorts of Type Approval Tests. At B & B Instruments, we can assure you that Autrol transmitters will definitely take your business to the next level. Please call or email us for more information and featured product promotion pricing. 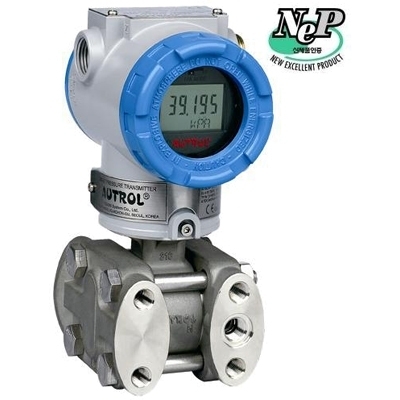 � The APT-3100 Smart Pressure Transmitter is a micro processor-based high performance transmitter, which has flexible pressure calibration and output, automatic compensation of ambient temperature and process variable, configuration of various parameters, communication with HART protocol. The application is very various, as measuring Pressure, Flow and Level by application method. � All Data of Sensor (Tag No., type, range etc.) is to be input, modified and stored. HART communication can be Max 1.5Km. In Multi-drop Mode, Max 15 Transmitters can be connected and communicated with Host. Barksdale's UDS7 Series Solid State Pressure Switches offer the convenience of three discrete components (dual pressure switch, pressure transducer, and digital pressure gauge) combined into one compact package. Setpoints can be easily adjusted using a built-in, user-friendly menu without the need for test pressure. Analog transducer outputs are scalable from 25% to 125% of the full adjustable range. A 12-bit microprocessor provides built-in self diagnostics and allows for switch time delays and pressure cycling up to 100 times per second. These units are built to last and come standard with IP65 protection. For applications requiring precision pressure control and extremely long life, the UDS7 Series is the ideal solution. Kytronic�s digital technology provides flow control equipment with features not available with conventional positioners or any other devices. Devices with a include Kytronics unique noncontact position encoders with encapsulated sensors which eliminate need for periodic recalibration of the device. � fail open or closed on power or signal loss and other advantages not available with conventional positioners. Positioners are available in two Models. DLA and MCDLU. Both have the same operating system. Hydronic models can modulate water powered actuators. MCDLU POSITIONERS have the encoder and electronics in the same enclosure on the actuator. DLA models have the encoder on the actuator and the electronics in a remote enclosure. A Manual Loading Station in the enclosure allows operation of the actuator from the remote enclosure with the actuator position displayed. Accurately position actuators with position display and unusual and unique options. MCDLUP4 positioners move the actuator to positions selected on local selector switches. The actuator is moved from position to position in response to discrete signals from an input device such as a PLC, selector switches or even a signal generated by a field condition to move the valve or damper to a safe position. 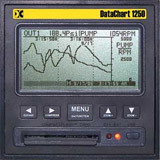 Use Kytronics digital technology, positioners, and KYTRON programming to receive an analog process signal divide the signal into up to 32 independent control ranges and modulate a valve or damper to maintain a process condition within one of several ranges. Advantages, in addition to cost, include highly responsive control and elimination of a PID controller. PMP OPERATOR MODULES precisely position an actuator from a remote module. The actuator position is displayed without a controller. PMPMLS MODULES are remote manual loading stations used with a positioner. A controller signal passes through the PMPSR unit to the positioner. 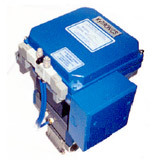 The PMPSR has an independent signal generator and the controller signal can be by-passed so the actuator is operated by the local signal generator. The actuator position is continuously displayed on the PMPMLS module regardless whether the controller signal or the local signal operates the actuator. The DC1250 is a feature rich digital recording system offering 2 universally configurable isolated inputs for measuring DC voltage, DC current, thermocouples, RTDs as well as frequency and pulse inputs. 4 internal alarm set points, 2 alarm relay outputs and 1 digital control input are all standard. Combining small package size with extreme flexibility make the DataChart 1250 a powerful, yet economical, digital data recording system. A maximum sample storage rate of 100 samples per second can be set for both channels allowing for capture of short duration process signals anomalies. CompactFlash™ cards up to 2 Gigabyte size can be used allowing many data points to be stored over long periods of time. Ethernet: Real time data display, historic data transfer, remote control and recorder configuration when using Navigator Software. Built in web server displays current measured values.